​order by using the form on the left. 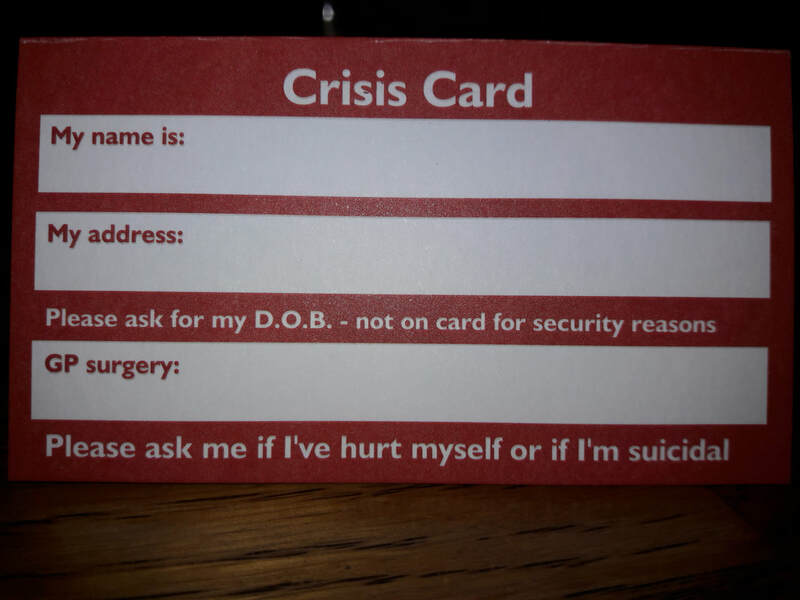 The poster can also be displayed in work places, for example, police stations, to get the officers used to the idea of asking for it if responding to a mental health crisis incident. Please co-ordinate with the emergency services in your area. We do not charge for these or for P&P but any donations would be very much appreciated. 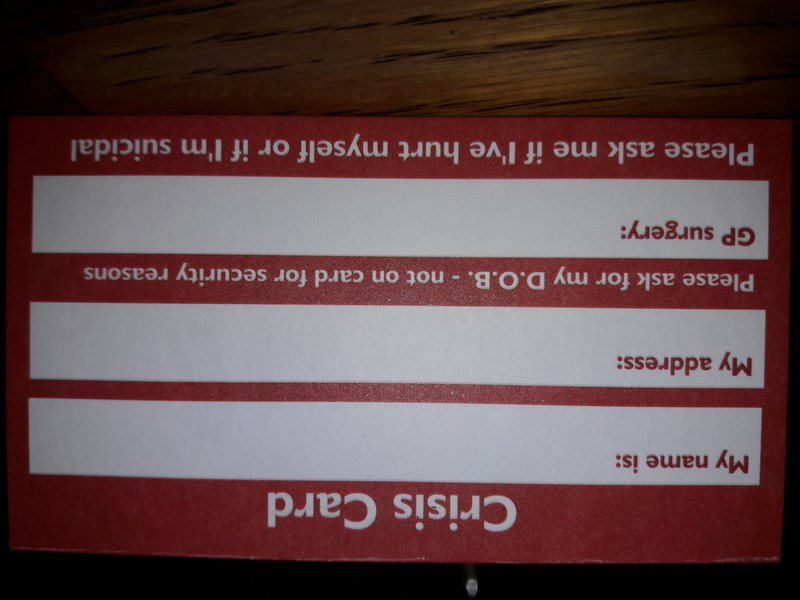 We were asked for a small "card" that can be printed and handed out anywhere in the world. Something to give to those who self-harm and help them realise they're not alone. 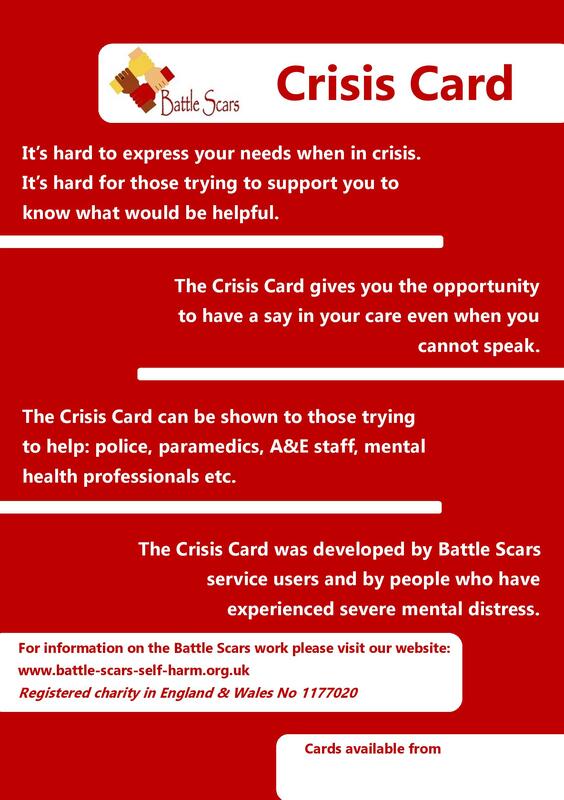 Of course most of our services are run in Leeds, UK, but it's important for many people to know there are others out there who understand. 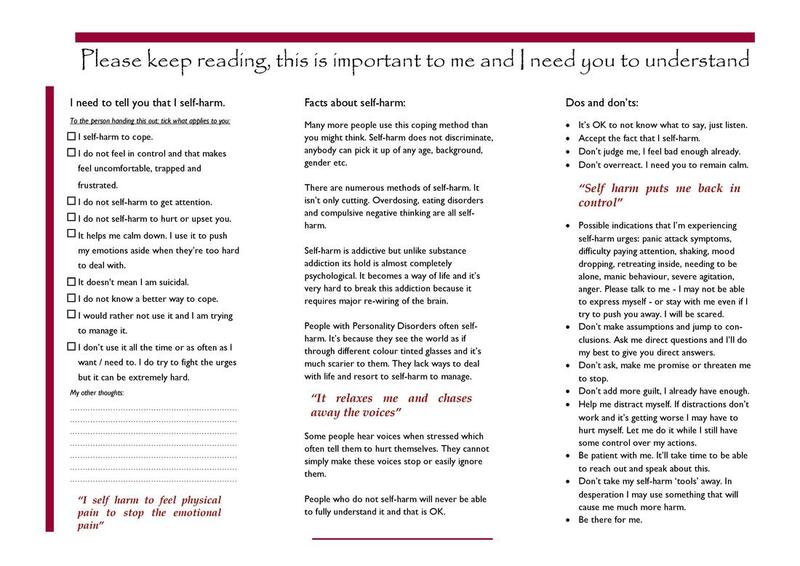 Please feel free to download and print.